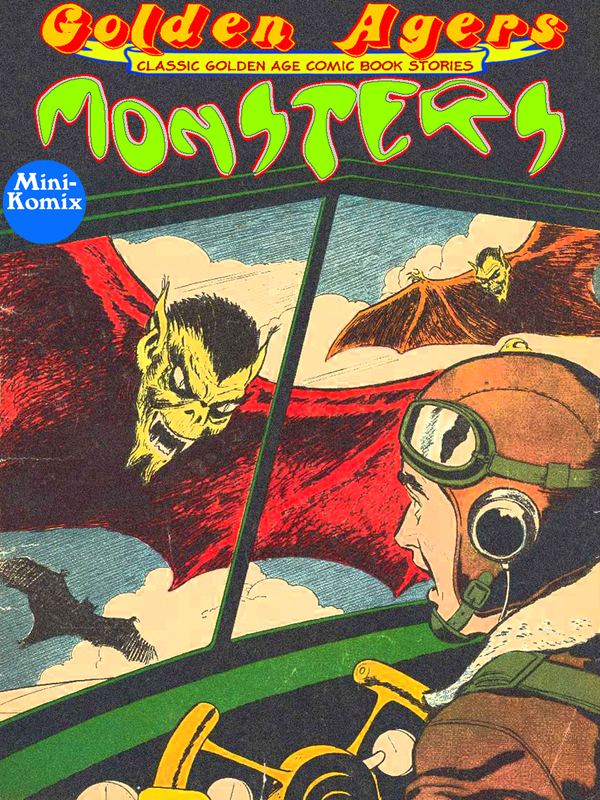 Golden Agers brings the fear with this classic collection of monster comics. 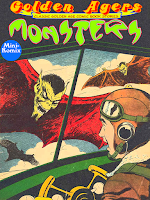 We've got the giant kaiju known as The Gravimonster, the terrifying tale of The Painted Beast, the alien menace in Love Trap, the Undying Fiend is a vampire viking, an old lady gets a cursed mirror, Flip Fairy Tale turns a classic story on its ear, Mr. L. Dedd gives you a view of a haunted house, Dr. Graves investigates living statues, take a stroll through Monsterville, Mother Hubbard uses her witchy ways to nab Nazis, the deadly Gunk is unleashed on the world, The Steel Monster retells the story of Killdozer, a mad doctor uses a Fatal Scalpel, the witch Fleur leads a modern day cabal, the Queen of Horror breaks into show business, Purification turns an old fable on its head, and a space monster invades Earth in Dimension IV. Make way for this monster squad as they creep and crawl into your soul! You can download this now at Lulu and Drive Thru Comics, plus as part of the Golden Agers: Horror Collection Bundle.